Hiroshi Watanabe – ADVANCED MULTIMEDIA SYSTEMS LAB. Hiroshi Watanabe received his B.E., M.E. and Ph.D. degrees from Hokkaido University, Japan, in 1980, 1982 and 1985, respectively. 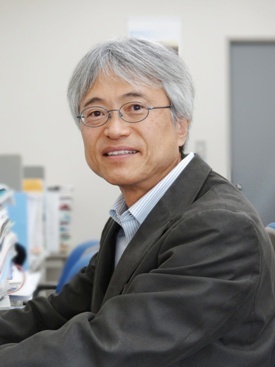 He joined Nippon Telegraph and Telephone Corporation (NTT) in 1985, and was engaged in the research and development of image and video coding system at NTT Human Interface Labs. and NTT Cyber Space Labs. until 2000. He has been involved with the development of JPEG, MPEG standards under JTC 1/SC 29. In 2000, He moved to Waseda University as a Professor at the Graduate School of Global Information and Telecommunication Studies. He is currently a professor at the Department of Communications and Computer Engineering, School of Fundamental Science and Engineering. He served as an ISO/IEC JTC 1/SC 29 Chairman from November 1999 to 2006. He was an associate editor of IEEE Transactions of Circuits and Systems for Video Technology as well as Communications. His research interests include image and video processing, video coding, and multimedia distribution. He is a member of a steering committee of PCSJ. He is a member of IEEE, IEICE, IPSJ, ITE and IIEEJ.